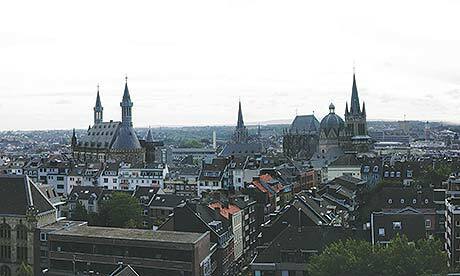 There are two train stations in Aachen: Aachen Hauptbahnhof and Aachen West. Aachen is linked to the international railway network. Every two hours, the high-speed train THALYS operates via Aachen between Paris and Cologne. In between, ICE trains run from Frankfurt to Brussels via Aachen. There are good connections to the cities of Cologne, Düsseldorf and Frankfurt/Main. And an hourly connection to Heerlen links Aachen to the Dutch railway system.